The commercial artist Walter Bjorne studied at Slöjdföreningens skola in Gothenburg (today the School of Design and Crafts at Göteborg University) from 1928 to 1931. 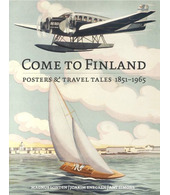 Around 1937, he started to draw advertising posters. Bjorne is most famous for his film posters. During his career, Walter Bjorne created around 5,000 posters for films for Swedish distribution. He designed Swedish poster versions for, among others, Tarzan, Laurel &Hardy, Charlie Chaplin and several Walt Disney films. Walter Bjorne also designed other commercial posters, including the advertisements for the Swedish cheese company Riksost and for Tudor batteries.